Gateway of India is one of those places which can’t be really overlooked, by almost anyone visiting the city of Mumbai. The Gate Way of India is an iconic reminder of India’s colonial past. Located in the city of Mumbai the gateway offers a spectacular view to anyone looking towards the sea or approaching Mumbai through Sea. It serves as a connecting point for boat rides to and from the famous Elephanta Caves. If one happens to be in the city of dreams, the first thing they ought to do is appreciate the heritage of this metro, which most of the times commences with this colonial structure. Erected in 1911, this edifice was completed in 1924 to commemorate the visit of King George V and Queen Mary to Bombay. One can see the words inscribed on the structure, in the honor of the visiting royalty to attend the December Durbar. The structure exhibits an interplay of yellow basalt stones and reinforced concrete. Designed in Indo-Saracenic style by British architect George Wittet, this monument almost a century old stands strong even today, watching Bombay transform into Mumbai. It is a regular hangout spot for tourist, locals, picture makers and geeks with journals. 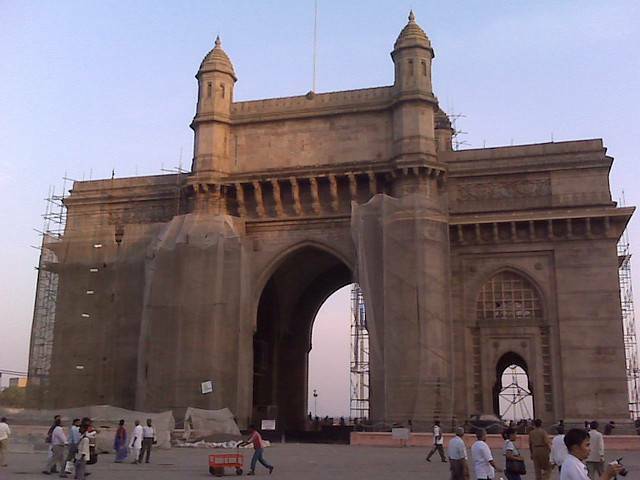 One of the most recognized landmarks of Mumbai, this monument is in the form of an Arch. The arch has three major sections. The central arches are marked by a height of 85 feet. The dome upheld by the central block is characterized by a diameter of 48 feet and a height of 83 feet. The central dome is joined by 4 turrets and is adorned with intricate latticework. One of the amusing parts of visiting this area is when tourists are bombarded with photographers and their minuscule, instant photo printers. It has almost happened to become in a tradition that if you come to Gateway of India, you should get one of these memorable souvenirs to take back home. Nah, selfies don’t give you that feeling, so one should get a snap just for the fun of it. This place has ridiculously served as a background for movies and documentaries. It is not uncommon for one to notice an introduction scene for media presentation with a Gateway in it. Other than that you get a lazy view of ships lazily drifting in the Arabian Sea and the pigeons enjoying time barricades. It won’t be a novelty for the Mumbaikars, but it’s definitely a thrilling moment for travelers for across the country. Visitors often enjoy memorable sunsets or sunrises, while looking towards the sea from the Gateway. 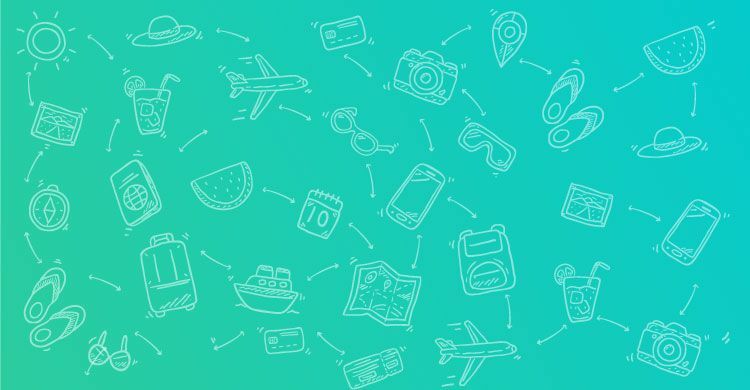 Tourists visiting the Gateway could venture towards the Colaba Causeway Market, Walkeshwar Temple or the Nehru Science Centre, all which are nearby. The Elephanta caves located on an island are not far from Gateway of India. Ferry to Elephanta caves can be taken from here.